RELAX AS WE MEASURE, DESIGN & INSTALL YOUR NEW CLOSET! The advent of wire shelving was a major improvement for closets. Its CLEAN, STRONG, and AFFORDABLE. The original hanging shelf design is still in use today. It is best known in the industry as 12″ shelf-rod or SR-12 and is used primarily for volume installations because of its low cost. Even though its less expensive, it isn’t the “best bang for your buck.” Freeslide shelving is the “best bang for your buck!” Freeslide is reasonably priced and very functional. Freeslide shelving is better looking and really much more functional than conventional closet arrangements. The freeslide hanging rail design allows the hanger to slide the length of the shelf. Freeslide is much easier to remove your garments and put them away without the 12″ reinforcing bar that restricts your hangar space. We offer freeslide shelving in both white or satin nickel finish. 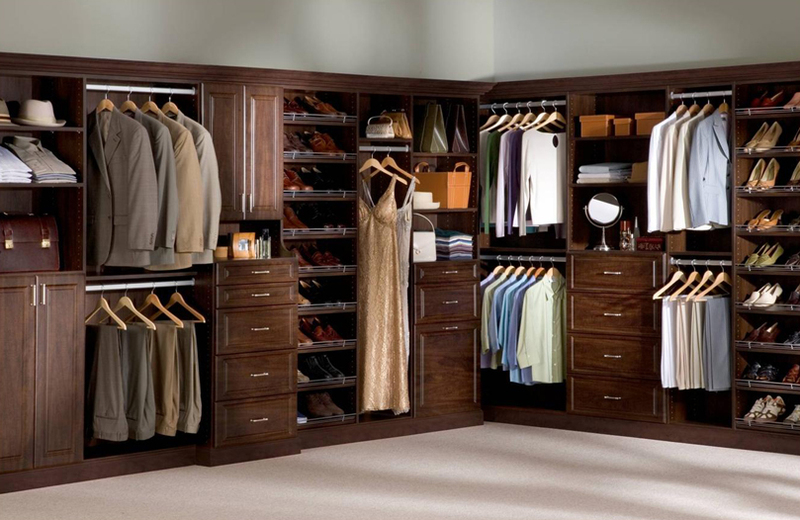 For over 30 years, we’ve designed closets for thousands of happy customers that love what we do. 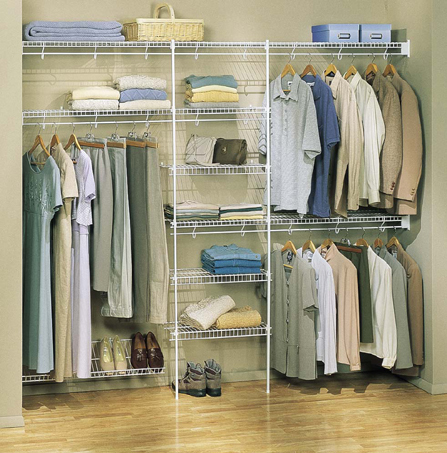 We take advantage of every little bit of space to accommodate your wardrobe! You can have a custom closet at an AFFORDABLE price designed especially for you! Want a little more excitement? Without spending a lot more, we can add in one or more laminate shelf or drawer stacks. They are very practical because they can help with the overflow from your bedroom furniture. That’s adding beauty with a purpose! 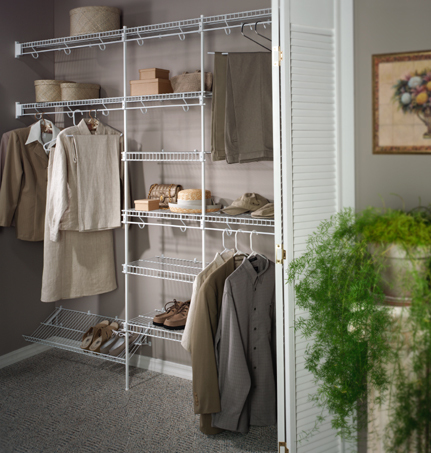 Click Here or Call 815-654-3000 for a Free Walk in Closet Quote! Over the past several months, we have dramatically extended our melamine laminate supply chain. Once limited to standardized sizes and configurations, we now have virtually unlimited design capabilities. We can design space for “big guys” or for smaller people. 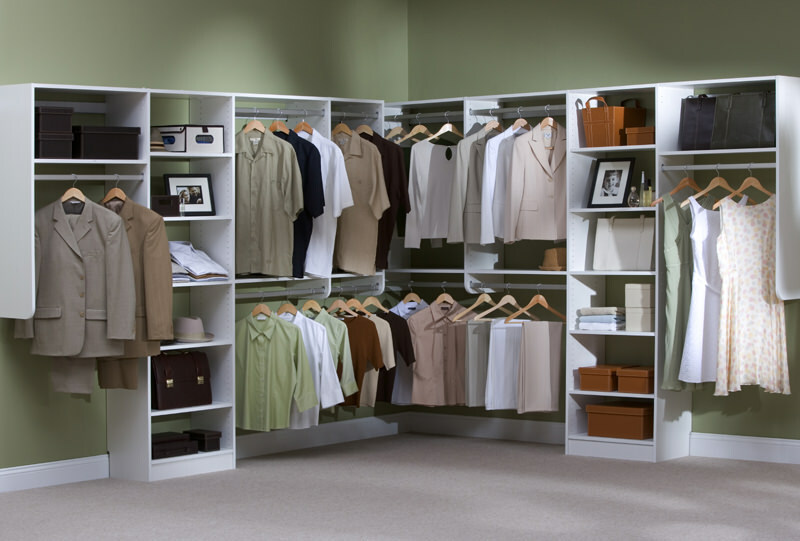 We can customize your closet spaces, media centers, office desks and cabinetry at standardized product prices. Add to that what might be the largest selection of laminate colors in the midwest. Your closet upgrades will be beautiful. You can choose a variety of drawer and door styles. Beautiful color choices, style choices, and expert design advice will provide an end product you are going to love! There is more and it is extraordinary!! Ask about our textured woodgrain laminate. Our new premium woodgrain laminate featured two different woodgrains, each with several different color choices ranging from bamboo to ebony. You get the look of wood with the durability and cost of laminate. This is exciting! We are very proud of the gorgeous laminate closets that we have designed and installed all over north central Illinois and south central Wisconsin and beyond. Strikingly beautiful wood grains, soft pastels and some really unique textures to choose from will make your closet or dressing room very special. 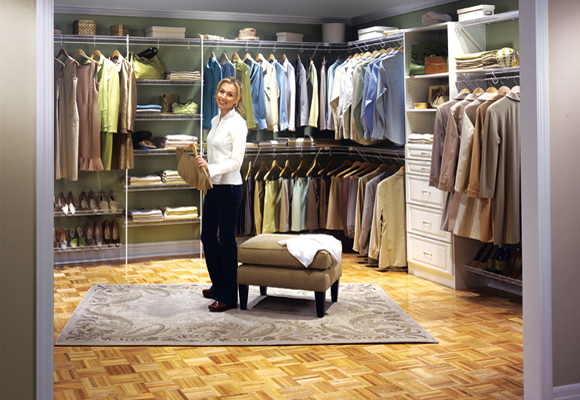 Let us turn that extra bedroom into a dressing room that you will be proud to call yours.